BACKGROUND: As the cost of oncology care continues to rise, composite value models that variably capture the diverse concerns of patients, physicians, payers, policymakers, and the pharmaceutical industry have begun to take shape. OBJECTIVES: To review the capabilities and limitations of 5 of the most notable value frameworks in oncology that have emerged in recent years and to compare their relative value and application among the intended stakeholders. METHODS: We compared the methodology of the American Society of Clinical Oncology (ASCO) Value Framework (version 2.0), the National Comprehensive Cancer Network Evidence Blocks, Memorial Sloan Kettering Cancer Center DrugAbacus, the Institute for Clinical and Economic Review Value Assessment Framework, and the European Society for Medical Oncology Magnitude of Clinical Benefit Scale, using a side-by-side comparative approach in terms of the input, scoring methodology, and output of each framework. In addition, we gleaned stakeholder insights about these frameworks and their potential real-world applications through dialogues with physicians and payers, as well as through secondary research and an aggregate analysis of previously published survey results. RESULTS: The analysis identified several framework-specific themes in their respective focus on clinical trial elements, breadth of evidence, evidence weighting, scoring methodology, and value to stakeholders. Our dialogues with physicians and our aggregate analysis of previous surveys revealed a varying level of awareness of, and use of, each of the value frameworks in clinical practice. For example, although the ASCO Value Framework appears nascent in clinical practice, physicians believe that the frameworks will be more useful in practice in the future as they become more established and as their outputs are more widely accepted. CONCLUSIONS: Along with patients and payers, who bear the burden of treatment costs, physicians and policymakers have waded into the discussion of defining value in oncology care, as well as pharmaceutical companies that seek to understand the impact of these value frameworks on each stakeholder, as they model the value and financial threshold of innovative, high-cost drugs. The value of drugs, whether individually or comparatively, and the definition of value itself, have emerged as acute concerns in oncology, where the cost of cancer care has evoked issues of financial toxicity.1-3 In the United States alone, the costs associated with cancer treatment have been forecast to increase 27% from their 2010 levels, to approximately $157.8 billion by 2020.2 Along with patients and payers, who bear the burden of these costs, physicians and policymakers have waded into the discussion of defining value in oncology care. Although providers and payers require new frameworks to assess the value of therapy options based on their individual perspectives and needs, payers require tools to better guide patient care.4 In addition, the pharmaceutical industry seeks to refine its scenario modeling of the value and financial pain points (ie, willingness of payers and ability of patients to cover the treatment costs) of increasingly complex drugs to achieve greater alignment among payers and their treatment-eligible populations. Into this complex marketplace, 5 major value frameworks have emerged in the past 2 years, representing years of efforts by diverse organizations and institutions to quantify and evaluate the benefits, harms, and (in some cases) costs, and arrive at a composite value metric or metrics.5-10 But how robust and reliable are these very different frameworks? How can the healthcare industry best apply them to make better decisions, and what do drug manufacturers need to know about these frameworks and their potential for application in the care paradigm? We compared the methodology of these frameworks using a side-by-side comparative approach in terms of the input, scoring methodology, and output of each framework. In addition, we gleaned stakeholder insights regarding these frameworks and their potential real-world application through dialogues with physicians and payers, as well as through secondary research and an aggregate analysis of previously published surveys. As detailed below, US physician and payer awareness and utilization of the frameworks indicate a rift between their current use and future application that should be noted by those stakeholders seeking to model the impact of these frameworks on their decision-making. Together, this matrix has allowed us to draw comparisons between the frameworks’ scope, capabilities, and limitations. Given the diversity in composite output(s) of each framework, direct cross-framework compar­isons should be discouraged. Certain frameworks (eg, ASCO’s) also discourage comparison within the framework, given the nature of the clinical trial input for each drug (ie, single-arm vs head-to-head clinical trial). Considering the systems collectively, several key recurring themes, which are outlined below, warrant further investigation, given their impact on the intended stakeholders’ (ie, patients, physicians, and/or payers) adoption of the frameworks. Beginning with inputs (Table 2), randomized controlled trials, by the nature of their design to minimize selection bias, are often not representative of the demographic distribution of the actual patient population nor the practical choices that patients encounter.13 Thus, frameworks (eg, NCCN’s and ICER’s frameworks) that rely on consensus or combined analysis of multiple clinical trials and a variety of clinical end points may, in some circumstances, provide a better indication of the therapeutic value of a drug in the larger population. A recent survey of 50 oncologists and 55 payers revealed a substantial lack of confidence in the ASCO Value Framework, which quantifies a single randomized controlled trial.14 Rather, survey responders’ preferences leaned toward comparison across clinical trials and a measure of cost within the core net health benefit score.14 Notably, these factors are provided through the NCCN Evidence Blocks,7 considering that value is derived from the consistency of quality evidence across multiple sources filtered through the prism of accumulated clinical experience. Suboptimally, the framework and its outputs should at least be in a form that providers can easily relay to patients. However, from our interviews with payer and secondary research exploring usability, we note a dearth of investigation into patient and provider usability. Indeed, our informal discussions with physicians and payers regarding the analysis of value confirm a hesitancy in applying these frameworks in practice until they better understand how to apply and extract value from the frameworks’ inputs. This sentiment was particularly expressed in regard to the ASCO and the NCCN frameworks. Consequently, ESMO’s or ICER’s rating for a specific treatment is not predictive of the score it will receive under ASCO’s framework, or vice versa. It has been suggested that clinical benefits and toxicities be evaluated for context by clinicians who have extensive and active expertise in the disease area being examined.16 However, it is unclear how this methodology is standardized, if at all. 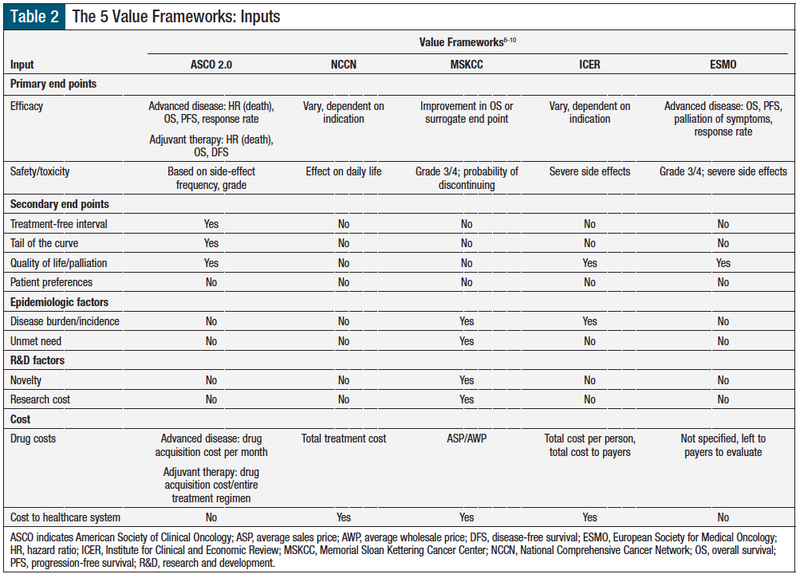 Although the use of value frameworks in oncology is increasing in clinical practice,5 especially regarding the ASCO framework, physicians have noted in discussion with us that the frameworks will be more useful in clinical practice in the future, as they become more established and their outputs are more widely accepted. Indeed, these physicians indicated to us that they were beginning to consider how to utilize value frameworks in the near future, emphasizing the importance of providing a comparative assessment of various treatment options available and their relative financial implications to patients. Although a dominant value framework to guide the pharmaceutical industry has yet to emerge, the input of patients, providers, and payers, coupled with the current approaches for assessing value through the frameworks, can provide the drug manufacturers with additional considerations in modeling value in the analysis of their clinical and commercial strategy in oncology. However, the pharmaceutical industry would be wise to remain current with these value frameworks and their potential updates, as well as contribute to discussions with framework bodies (ie, ASCO, NCCN, ESMO) and seek resources to understand payer and prescriber perspectives about these models. Integrating comparative analysis methods into strategy, risk management, and value modeling may allow pharmaceutical manufacturers to better position their oncology assets at all stages of development. Integrating value framework considerations into clinical trial design (ie, preliminary or interim clinical data that hint at value outputs) can provide an additional tool for modeling their oncology drugs’ value and the value of the associated clinical trials or subsequent forecast clinical trials, even before the trial is complete. Standardizing appropriate clinical trial comparators would also reduce the incomplete inputs that are crucial for internal value framework analysis and external analysis by various stakeholders, particularly payers. Incorporating value framework considerations may further assist drug makers in their internal price modeling of an oncology drug when developing drug launch price strategies. Insight into the attitudes of payers toward individual value frameworks, as well as toward specific aspects of a particular framework, may be vital to developing optimal drug pricing and reimbursement strategies (eg, premium pricing). By understanding the meaning of the output(s) generated by each framework, as well as the value of each framework to the various stakeholders, pharmaceutical companies have an opportunity to selectively utilize these frameworks to shape their value modeling in the analysis of their clinical and commercial strategies. 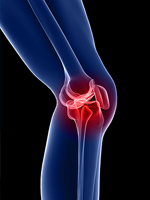 In addition, value framework assessments may prove valuable in identifying innovative access strategies to a specific therapy for access to favorable situations. Even with these potential benefits, stakeholder education through outreach strategies will still be crucial when communicating with various healthcare stakeholders, including payers, physicians, and patients; such context will be essential for understanding why one or several value frameworks are favored over others when reaching specific conclusions. Our findings suggest that payers are aware of the frameworks and see the potential in them, but they are split on whether they will utilize the frameworks in the near future. Likewise, physicians are considering the use of these frameworks, yet they do not fully appreciate their applications and limitations in decision-making. Consequently, although incorporating elements of these algorithms may assist pharmaceutical companies in internal pricing and reimbursement strategies, our dialogues with pharmaceutical stakeholders confirm our primary and secondary research findings among physicians and payers, regarding the uncertainty as to which framework will gain the greatest traction among stakeholders, whether it is the patient, provider, or payer. Although each of the 5 value frameworks has selectively targeted patients, physicians, and/or payers using a unique interpretation of value, the relevance of the 5 frameworks to direct (ie, providers, payers) and indirect (ie, drug manufacturers) stakeholders will depend on adoption of the framework. Factors that may drive value framework adoption include appreciation for real-world evidence, the relation of cost to affordability, transparency regarding the quantification process and outputs, and, where stakeholder-relevant, the framework’s applicability to individual decision-making. Which value framework becomes more established and widely accepted, and by what stakeholder, will influence how the pharmaceutical industry will shape the clinical and commercial development of its oncology drugs. We wish to thank David Stanton, Vice President of Marketing Communications at GfK, for his input in the revisions and preparation of this manuscript. Dr Slomiany, Ms Madhavan, Mr Kuehn, and Ms Richardson reported no conflicts of interest. 1. Newcomer LN. Innovative payment models and measurement for cancer therapy. J Oncol Pract. 2014;10:187-189. 2. Mariotto AB, Yabroff KR, Shao Y, et al. Projections of the cost of cancer care in the United States: 2010-2020. J Natl Cancer Inst. 2011;103:117-128. Erratum in: J Natl Cancer Inst. 2011;103:699. 3. American Society of Clinical Oncology. ASCO in Action Brief: value in cancer care. January 21, 2014. www.asco.org/advocacy-policy/asco-in-action/asco-action-brief-value-cancer-care. Accessed October 10, 2016. 4. Stowell C, Akerman C. Better value in health care requires focusing on outcomes. Harvard Business Review. September 17, 2015. https://hbr.org/2015/09/better-value-in-health-care-requires-focusing-on-outcomes. Accessed March 10, 2017. 5. Chandra A, Shafrin J, Dhawan R. Utility of cancer value frameworks for patients, payers, and physicians. JAMA. 2016;315:2069-2070. 6. Schnipper LE, Davidson NE, Wollins DS, et al. Updating the American Society of Clinical Oncology Value Framework: revisions and reflections in response to comments received. J Clin Oncol. 2016;34:2925-2934. 7. National Comprehensive Cancer Network. NCCN Clinical Practice Guidelines in Oncology (NCCN Guidelines) with NCCN Evidence Blocks. www.nccn.org/evidenceblocks/default.aspx. Accessed October 10, 2016. 8. Memorial Sloan Kettering Cancer Center Drug Pricing Lab. The DrugAbacus Tool. http://drugpricinglab.org/tools/drug-abacus/. Accessed June 8, 2017. 9. Institute for Clinical and Economic Review. Evaluating the value of new drugs and devices. 2015. www.icer-review.org/wp-content/uploads/2014/01/Value-Assessment-Framework-9-71.pdf. Accessed October 10, 2016. 10. Cherny NI, Sullivan R, Dafni U, et al. A standardised, generic, validated approach to stratify the magnitude of clinical benefit that can be anticipated from anti-cancer therapies: the European Society for Medical Oncology Magnitude of Clinical Benefit Scale (ESMO-MCBS). Ann Oncol. 2015;26:1547-1573. 11. Schnipper LE, Davidson NE, Wollins DS, et al; for the American Society of Clinical Oncology. American Society of Clinical Oncology statement: a conceptual framework to assess the value of cancer treatment options. J Clin Oncol. 2015;33:2563-2577. 12. Memorial Sloan Kettering Cancer Center Drug Pricing Lab. Methods. http://drugpricinglab.org/tools/drug-abacus/methods/#faqs. Accessed June 8, 2017. 13. Basch E. Toward a patient-centered value framework in oncology. JAMA. 2016;315:2073-2074. 14. 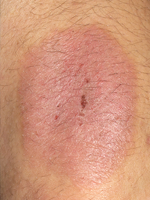 Xcenda AmerisourceBergen. 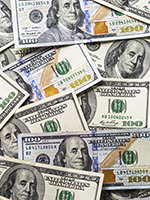 Assessing value in oncology: models & perspectives from payers and oncologists. www.xcenda.com/Documents/Assessing%20Value%20in%20Oncology%20-%20Models%20%20Perspectives%20from%20Payers%20and%20Oncologists%20FINAL%20for%20print%205-18-16.pdf. Accessed January 17, 2017. 15. Milken Institute; Avalere. Integrating the patient perspective into the development of value frameworks. March 2016. www.fastercures.org/assets/Uploads/value-coverage-framework-March-2016.pdf. Accessed January 17, 2017. 16. Schwartzberg L, Ettinger D, Jahanzeb M, et al. Op-Ed: our view on value frameworks in oncology: proposing principles for value framework development. OBR Green. 2016;11. http://obroncology.com/article/op-ed-our-view-on-value-frameworks-in-oncology-proposing-principles-for-value-framework-development/. Accessed January 17, 2017. 17. Subramanian R, Schorr K. How valuable is a cancer therapy? It depends on who you ask. 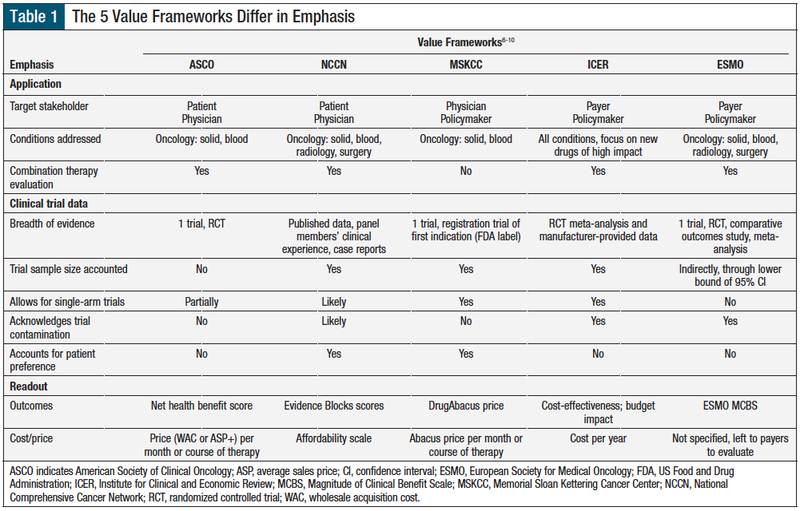 Comparing and contrasting the ESMO Magnitude of Clinical Benefit Scale with the ASCO Value Framework in Cancer. Poster presented at the International Society for Pharmacoeconomics and Outcomes Research Annual International Meeting; Washington, DC; May 21-25, 2016. 18. Wilson L, Lin T, Wang L, et al. Evaluation of the ASCO Value Framework for anticancer drugs at an academic medical center. J Manag Care Spec Pharm. 2017;23:163-169. 19. Young RC. Value-based cancer care. N Engl J Med. 2015;373:2593-2595. 20. Green M, DiPaula K; for Kantar Health. The path toward drug value definition: implications of value initiatives in oncology. White paper. March 2016. www.kantarhealth.com/docs/white-papers/the-path-toward-drug-value-definition-implications-of-value-initiatives-in-oncology.pdf. Accessed May 8, 2017. 21. Seidman J, Choe SH. Most health plans do not use existing value frameworks to make coverage decisions. Avalere Health. July 26, 2016. http://avalere.com/expertise/life-sciences/insights/most-health-plans-do-not-use-value-frameworks-to-make-coverage-decisions. Accessed May 8, 2017. 22. Capuano C, Divi B, Singhania A, Suponcic S. How are US payers using emerging pharmaceutical value frameworks? Presented at the International Society for Pharmacoeconomics and Outcomes Research Annual International Meeting; Washington, DC; May 21-25, 2016. 23. Lederman L. Value tools at ASCO 2016: building a framework for prime time. ZS Associates. www.zs.com/publications/articles/value-tools-at-asco-2016-building-a-framework-for-prime-time.aspx. Accessed May 8, 2017. Value is a term used in daily conversation; healthcare stakeholders, including providers, payers, patients, and drug makers, often have different definitions of value. Recently, value frameworks have become a hot topic in healthcare, especially among payers and providers. PAYERS: Payers understand that the use of appropriate medication regimens, regardless of cost, may help to improve patients’ clinical conditions, enhance their quality of life, and lower healthcare costs. However, payers lack a universal, consistent method to determine the relative value of a medication that considers the drug’s clinical efficacy, other clinical factors such as side effects, and cost. External value frameworks offer an opportunity for payers to incorporate value into decision-making at the population and individual patient levels. Managed care organizations and pharmacy benefit managers vary greatly in size and geographic presence, as well as in capacity and dedicated resources to conduct thorough value assessments. Therefore, payers may incorporate external value frameworks within different continuums of policy development and maintenance. Payers may incorporate value framework tools into an internal review process of a medication or to validate a certain policy. Individual payers may choose to use 1 or several value frameworks in different capacities for drug therapy management. Value frameworks may aid in new medication review processes and formulary decisions, and help to determine preferred pharmaceuticals or to compare drug classes. Value frameworks may also help to define options for appropriate insurance coverage criteria, such as step therapy or prior authorization. Payers may use a set of outcomes from a specific value framework to define the appropriateness of drugs to be excluded from coverage. PHARMACEUTICAL COMPANIES/PAYERS: Value frameworks could also become an agreeable target for novel contracting between a payer and a pharmaceutical company. For example, a value framework may help to determine appropriate indication-based contracting, such as a greater value of a medication in the treatment of one cancer type versus another cancer type. In addition, value frameworks may influence clinical pathway development, in oncology or otherwise, which may have an influence on the financial relationships among payers and providers, payers and drug manufacturers, or providers and drug manufacturers. Payers now have the option to choose among different frameworks to incorporate value concepts into their drug coverage decision-making process. In this issue of American Health & Drug Benefits, Slomiany and colleagues present a comparative analysis of the recently developed value frameworks in oncology—as well as the Institute for Clinical and Economic Review (ICER)’s value framework—and their implications for pharmaceutical companies.1 Overall, 4 value frameworks are currently available in oncology, so health plans have the option to use 1 framework alone or some aspects of several frameworks together to help their assessment of the value of an oncolytic or a supportive therapy. Some payers are using these frameworks to review the value of a drug in individual cancer types. For example, using the National Comprehensive Cancer Network (NCCN) Evidence Blocks, instead of taking the time to fully research an entire cancer type, payers can quickly scan the NCCN Evidence Blocks. This may identify low-hanging opportunities for cost-savings, which is not a complete substitute for more rigorous research; however, with limited resources to evaluate the scope of cancer drugs, value frameworks may provide efficiency that was not available a few years ago. 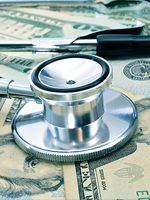 Furthermore, payers are becoming familiar with ICER, which has produced assessments of many relevant topics, such as cholesterol-lowering therapy, multiple sclerosis, and abuse-deterrent opioids. The breadth of review topics by ICER has increased its visibility. As ICER releases more reviews, payers will need to assess their position on ICER assessments and all value frameworks. Some payers will be early adopters, and some will continue to strive to find value in value frameworks to assess a drug’s value. 1. Slomiany M, Madhavan P, Kuehn M, Richardson S. Value frameworks in oncology: comparative analysis and implications to the pharmaceutical industry. Am Health Drug Benefits. 2017;10(5):253-260.